A turtle is swimming 3 feet below the surface of a lake. The turtle then dives 24 feet down to find food at the bottom. If the turtle then ascends 24 feet back up towards the surface, how far is he below the surface of the water? The nose is on the surface, and the heel is on the surface. Which of the following best describes adhesion? The "skin like" effect on top of the water's surface pulling downward and inward relates to a phenomenon known as . The invisible force of attraction between water molecules that allows them to stick together is . Blowing winds form a ___________________________________, a river of water in the ocean. What area of the body is commonly overlooked for injuries? Friction is less on snow than on concrete, give a reason for this. 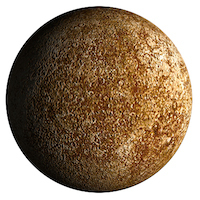 The surface of Mercury looks most similar to the surface of . A(n) is a flat surface, a sloped surface, or a ramp. thick, dry, and covered with hair. A seabird dives 17.3 feet down below the surface of the water. If the seabird ascends 6.7 feet, and then ascends another 2.9 feet, at what height is it now? is the curve in the upper surface of a liquid close to the surface of the container or another object, caused by surface tension. Waves that travel from the focus of an earthquake through Earth are called waves.